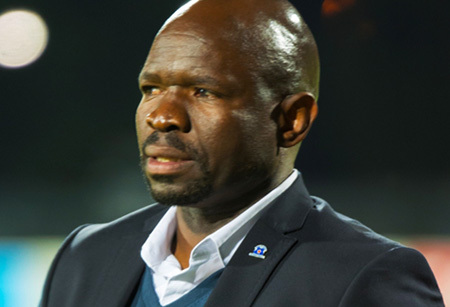 Maritzburg United coach Steve Komphela is refusing to push any panic buttons as the Team of Choice continue to struggle for results. United have not won in the league since December, when they beat Orlando Pirates 2-1, and have recently slipped out of the top eight for the first time this season. But Komphela is not one to panic, and his cool and calm approach could be just what the team needs as they prepare for a tough encounter against an on-form University of Pretoria side in Tshwane on Sunday afternoon. “If you worry, what is going to help you? Worry is no solution in any predicament," he said. "Of course it is a concern but what is important, are you creating chances? Do you see some light at the end of the tunnel? "Yes, we do, and by our standards, based on what we did in the first 10 matches, we shouldn't [worry] - this is how it is - just deal with it." Tickets for Maritzburg United’s Absa Premiership fixture against Kaizer Chiefs on Wednesday, 11th March 2015 at the Harry Gwala Stadium are now available to purchase.